yesterday's walk was so much harder than it should have been. The good news is that my recovery was faster. I got up this morning to only a little soreness and was able to get a mile done. Not striving for more than a mile a day this week. My ankle still feels fragile. 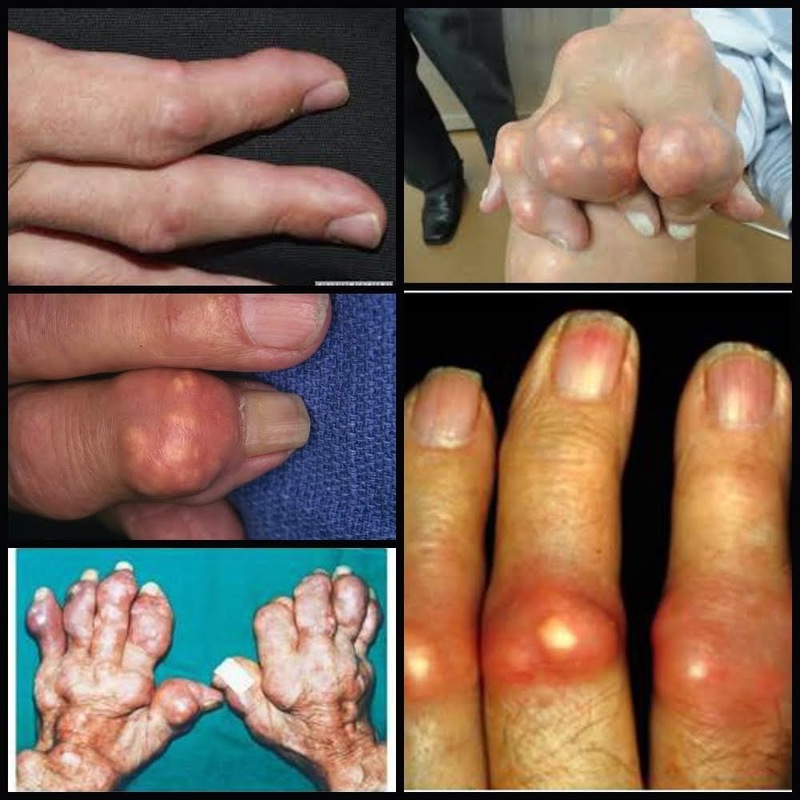 I have made a collage of rather icky photos to remind myself of what CAN happen if I don't keep my gout in check. I have a tendency to forget the pain when the pain is gone. Sometimes the bacon wins the battle - stomach overwhelms brain. I keep a copy of this on my phone and am printing out one on for my fridge. Those are tophi. I consequence to having high uric acid levels for an extended period of time. They don't just form where the gout attacks are. You can get them on your ear, elbow...all sorts of places. I work with my hands, so these are the most terrifying photos I could find. no hands = no work. I'm working hard to keep my diet in check and my exercise up. This attack lasted so much longer than any in the past. Gout isn't fatal. I got it much younger than most women do. I am only 47 and my grandparents all lived into their late 80s. I do not want 40 years of attacks, actually I want ZERO years of further attacks, so it's something I have to get a handle on.